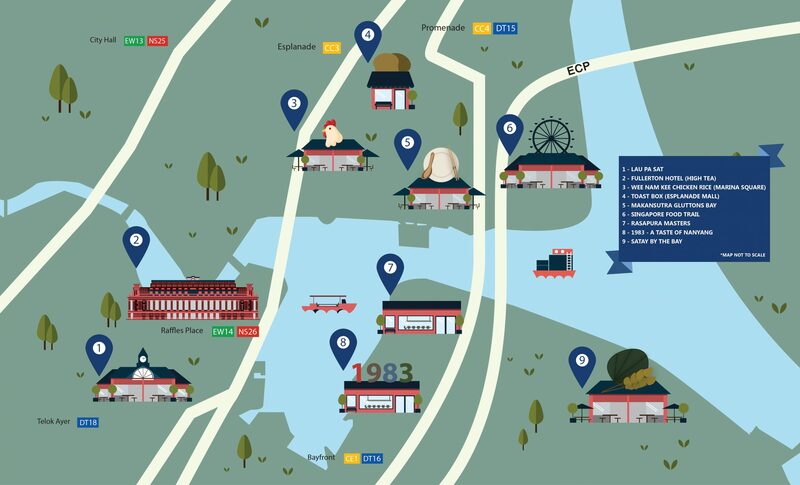 From a kampong island to an urban city in just 50 years, Singapore is framed to be ASEAN’s business hub. In anticipation of growth, Singapore embarked on an ambitious land reclamation project in 1969 to expand the city centre to become today’s Marina Bay. Marina Bay today is not just the heart of economic transactions in Singapore, it is also the spot where leisure activities are available for travellers and locals and possesses a strong local flavour. 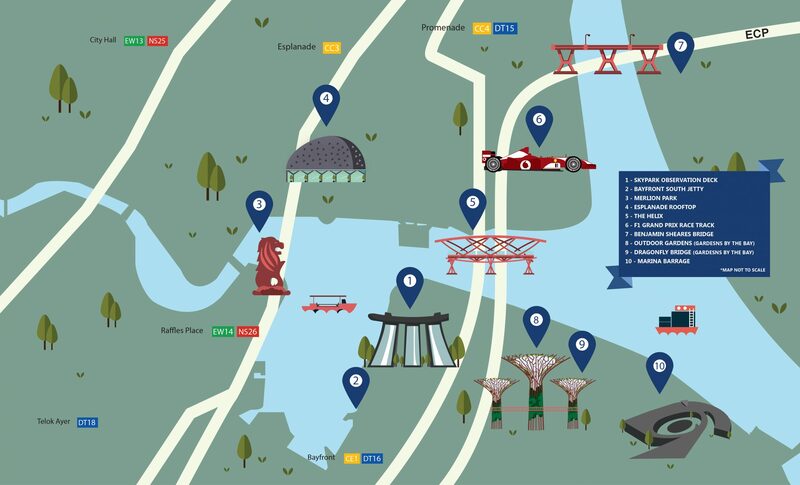 Spend a couple of hours at Marina Bay and discover the gems at your own pace. Here’s a quick guide of the different trails you can explore while you’re there! 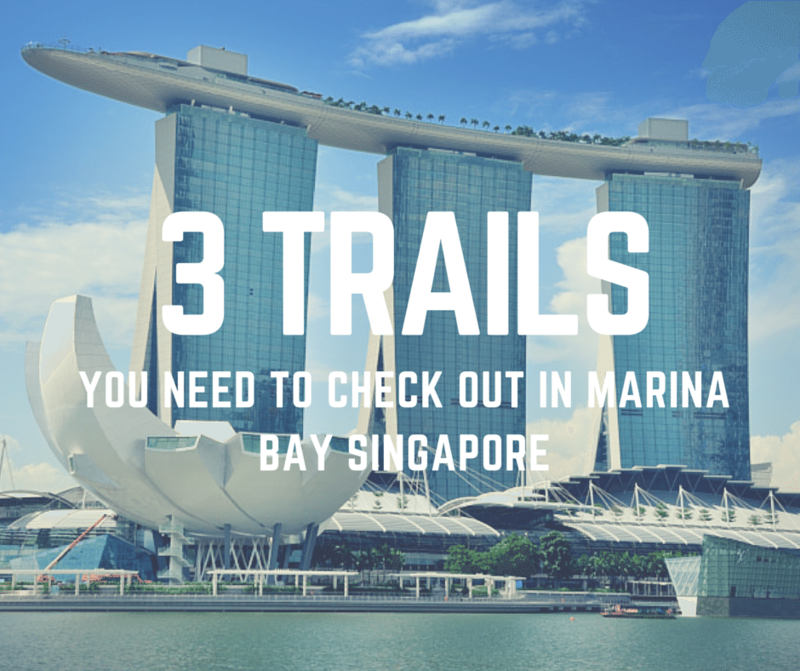 As we all know, Marina Bay has undergone a major transformation over the past 30 years and has become one of the top tourism spots in Singapore. More than just having a stunning skyline, there are many spots along the Marina Bay precinct that capture the unique stories of Singapore, each with its own story to tell. With the Merlion Park, the DNA-inspired Helix bridge, and beautiful Gardens by the Bay, there are plenty of amazing backdrops for instagrammers to take your selfie/welfie or showcase your professional shots. 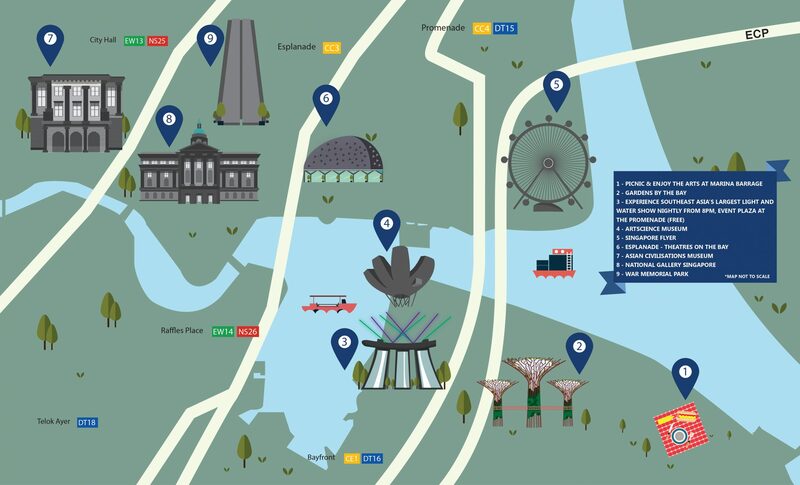 Here’s our take on the #instaworthy locations that you should explore if you are around Marina Bay and don’t forget to tag @marinabaysg when you upload your photo! Your photos may just be featured next. Our leisure trail is relatively easy to follow so don’t you worry about not having a tour guide! For starters, you can enjoy a delicious picnic lunch at the Marina Barrage with your friends and family while taking in the spectacular view of the Singapore skyline. Another way you can enjoy a bird’s eye view of Singapore is by hopping onto the Singapore Flyer, which is a great way to admire our Garden City, especially at night. Of course, you can enjoy some quality ‘edu-tainment’ at the Art Science Museum, following which you can soak in the wonderful vibes of Southeast Asia’s largest light and water show at the Marina Bay Sands Event Plaza. Shows are held every night from 8pm for free; the possibilities are endless! Singapore is known to be a food haven. As a multi-racial country, it is not easy to define the exact roots of our local cuisine as it is derived from a hodgepodge of cultural influences. If you are a true foodie or a traveller who explores a city through your taste buds, this is the trail you can’t miss! Our Lau Pa Sat (literally translated to Old Market) is the destination for a taste of Singapore – Ice Kachangs make the perfect afternoon refreshment in sunny Singapore. From delicious smokey satays at Satay By The Bay to exquisite high tea sets at Fullerton Hotel, you are in for a real treat! This is the perfect chance for you to soak in the all wonderful sights, sounds and flavours that define Singapore while you satisfy your hunger pangs along the way. Not to mention that following this food trail on foot is a great way for you to burn off some calories as you make your way from one snack point to the next. *Do note that the infographics are not drawn to scale and are accurate as of time of release. Click here for more information on Marina Bay Singapore. This post is brought to you by Marina Bay Singapore. The article is right. This whole area is Instagram perfection. From the icon rooftop swimming pool post at Marina Bay Sands building to the classic jumping photo in the Gardens by the Bay. Every time I get to visit Singapore I make a visit down to this area. Great Article!